Beginners Guide to Landlord Insurance - Protecting you and your biggest investment from any rental evasions and damage made by tenants. If your a landlord and own an investment property, one of the most important thing that you must consider is insurance. For a fee of a few hundred dollars a year, you can be sure that any act of God (weather), any rental evasions or damage made by tenants will be covered. Investors in Queensland have found that the costs due to massive storms and floods, have paid off for them, assuming that you have the right reportage for your property. If not then you could potentially face bills that are extremely expensive, such as damaged plaster, damaged and wet carpet, or even damaged electrical wires. Wise Real Estate Advice have analysed the price and coverage that Australia’s best landlord insurance policies, and have come to a conclusion of the key essentials that you need, to ensure you do not pay through the roof, if your property is damaged in any way. 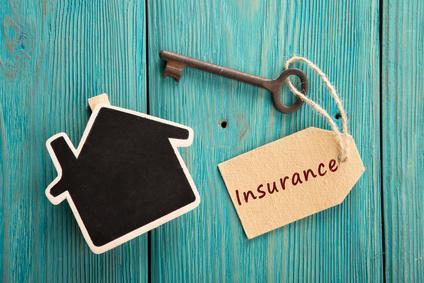 The essentials when buying landlord insurance is making sure that you have the right coverage for your property, as there are many policies out there. Meaning that each policy will cost a different amount, with some products costing a lot more than others and vice versa. Before signing up for any policies, make sure you know how and when you can claim, as most insurance companies operate on a 24-hour basis. You should also analyse and come up with the worst possible situation could happen to your property, for example losing personal belongings in a fire, such as financial papers. Another important aspect of landlord insurance that you need to consider, and make sure you have coverage, is acts of natural disasters. Countries like Japan, New Zealand and Australia are countries that face severe natural disasters. Therefore, ensure you have coverage on: Storms (lightening), rioting, floods, fires, earthquakes and tsunamis. If you live in any of these countries and you decide to ignore coverage on natural disasters, then you are taking a massive risk, as natural disasters can destroy your property, and could potentially cost you over $100,000 to repair damages. Remember that building insurance should cover you for any part or complete damages to your property and any cover for a loss of rental income while the property is getting fixed. You will also be covered for damages that is caused by any guests or tenants. When taking up a policy you should be clear on any content, even if your investment property is not furnished. Contents will cover any items that are not a part of the fixed structure of the property, including; curtains, furniture, internal blinds, loose floor coverings, light fittings, domestic appliances, carpet, furnishing and household goods. These items will only be covered by the property owner, and will not cover any belongings by the tenant. You will also be covered of any damages created by tenants, however insurance companies love to charge a premium for this. Therefore, you should careful analyse whether you will need this cover or not. This will really depend on what kind of tenants are living in your property. Just remember that white goods such as fridges, freezers and dishwashers are subject to claim limits. Rent default is the most important aspect of insurance and every landlord should have this cover as you could potentially face tenants who struggle to pay their rent. This cover will protect you against any loss of rent. Remember that not all policies will cover this aspect, therefore you should ensure you have this product so that any loss of rent is recovered. Loss of rent can be the result of; unexpected passing of a tenant, the tenant facing financial hardship, tenants getting evicted due to court orders, or simply basic defaults of payment. © Copyright Proprty Managers Melb.